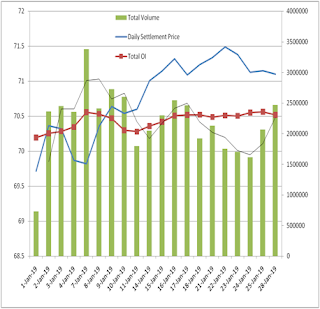 Karvyfx: CME Gold Futures Vs Dollar Index. 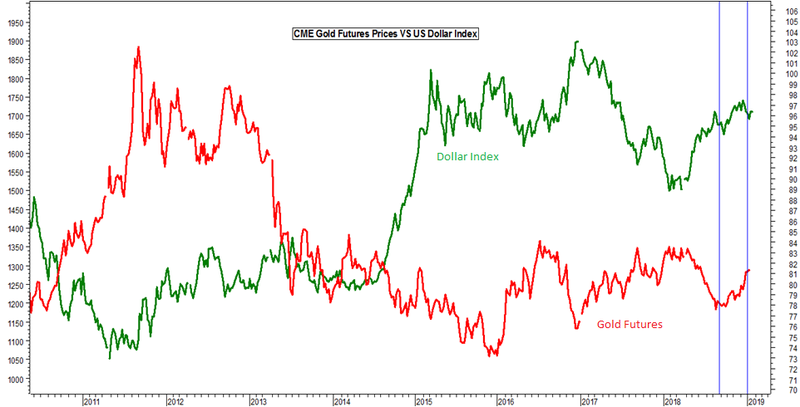 CME Gold Futures Vs Dollar Index. CME GOLD Futures Vs US Dollar index as seen in the chart are usually inversely related to each other. But both were seen moving in tandem with each other suggesting safe heaven buying on the wake of global slowdown concerns.